It’s time again for that yearly favorite — the AASCEND Annual Holiday Potluck Party! Come join our community for food, conversation, music and good cheer. 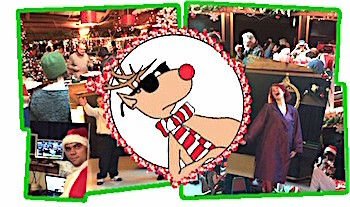 There will be Entertainment, Music, Santa D.J., Games, did we mention food, and a low-sensory space available. It’s a potluck, so bring food to share if you can — but if you can’t, show up anyway! Be there and be cool like the reindude! At AASCEND‘s November 19 meeting Michael Joyce, a Sacramento-area lawyer, will discuss the various stages of being awarded Supplemental Security Income, and the future of the Able Act in California. Supplemental Security Income (SSI) is a United States government program that provides stipends to low income people who are either aged 65 or older, blind, or disabled. Although administered by the Social Security Administration, SSI is funded from the U.S. Treasury general funds, not the Social Security trust fund. 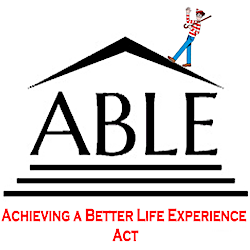 The Achieving a Better Life Experience (ABLE) Act allows families with children with disabilities to save for college and other expenses in tax-deferred accounts. Recently signed into California law, the ABLE Act amends the Internal Revenue Service Code to allow use of tax-free savings accounts for individuals with disabilities. Families will be allowed to use the funds in the savings accounts to cover education, housing, medical and transportation expenses, among others. 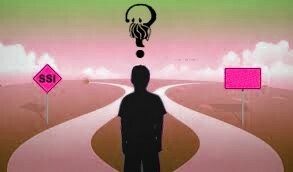 Both of these subjects are very important to the autism community. We look forward to hearing your questions about them at this informative event! All are welcome and as always it’s free – with no donations turned away for presence of funds!